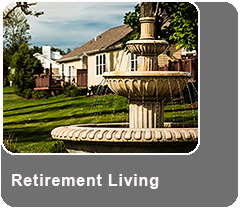 St. Barnabas Communities has multiple retirement living options available for you! 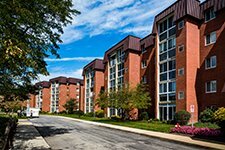 Our four campuses are located in Allegheny and Butler Counties in Pittsburgh’s northern suburbs. We offer a variety of senior living options along with a complete continuum of medical care. 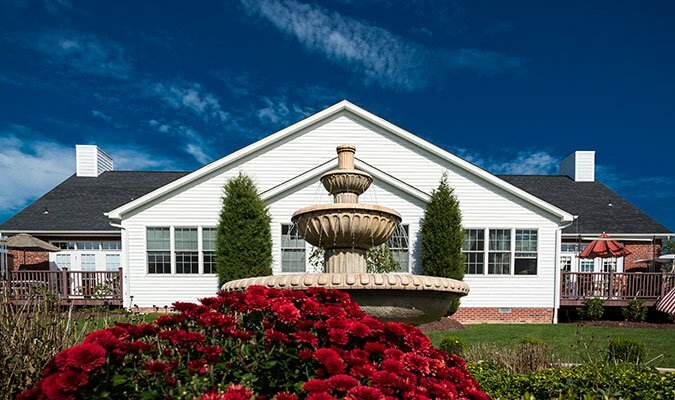 Whether you are a young retiree looking for maintenance-free living in a beautiful setting or are someone in need of daily living assistance, St. Barnabas Communities has multiple retirement living options available for you. At St. Barnabas Health System, we fully understand the apprehension people feel about retirement living facilities. It’s easy to imagine that these facilities are “the end of the road.” The problem is that that’s just not the case. Instead, you should see retirement living as a new opportunity. Retirement living facilities offer a home with a broad range of services, including health care, accommodation of dietary requirements, and affordable costs. We work to accommodate our residents’ changing needs because we believe that everyone deserves to live comfortably. Give us a call and we’ll schedule a walkthrough so you can see our facilities for yourself! St. Barnabas is the only retirement community in Western Pennsylvania with two golf courses where residents can golf for free. The choices includes Conley Resort, an 18 hole championship course that is nestled in the rolling hills of Butler County, or Suncrest Golf Course, an exquisite public course for all skill levels; both courses are located off Route 8 in Butler County. They feature tree lined contoured fairways leading to “postage stamp” greens, with separate tees on each hole for men, women and seniors. Conley Resort was selected as “Pennsylvania Golf Course of the Year” by the Pennsylvania Golf Association. For many families, money is tight. Few of us can afford to shell out endless payments even for the things that mean the most to us — like the proper health care and comfort of our elderly family members. St. Barnabas Health System provides exceptional service at an affordable rate. Our prices are set competitively for the industry, and we work hard to keep both our quality of health services high and our prices low. 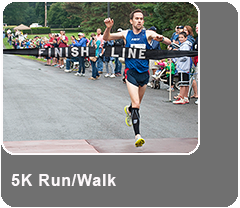 Our retirement communities are designed for an active lifestyle. For a single price, your loved ones can enjoy a broad variety of benefits, including easy health care, social gatherings, and outdoor activities. Such activities would often cost a significant amount at your typical retirement communities. With us, there is no hefty entrance fee. You retain total control of all assets acquired over your lifetime, and make manageable monthly payments. 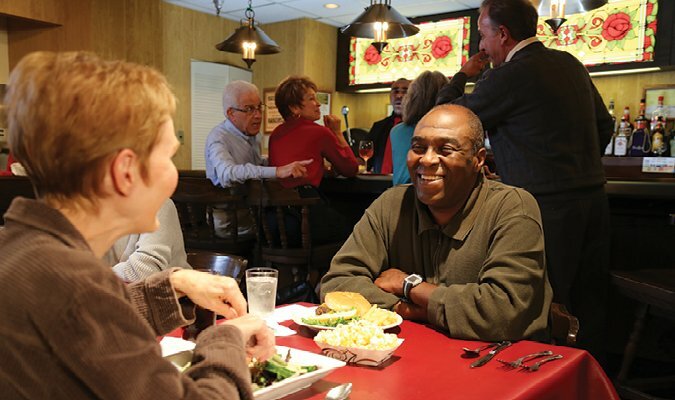 For the active retiree, there are a wide variety of social and recreational activities, including entertainment, casual cuisine, fine dining, and a pub. Our recreation calendar offers 50 different activities a week, ranging from Bridge and other card games, to exercise classes, to fun parties and social gatherings. The outdoor lover will enjoy our gardens, fishing pond, walking trails, putting green, and gaming areas for sports such as bocce. Gardeners can grow flowers or vegetables in individual plots. 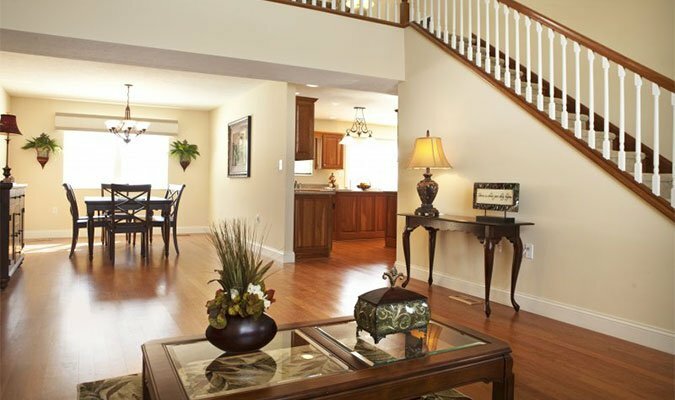 Our retirement communities include luxurious carriage homes, townhouses and apartments. The Village even has an indoor mall, making it an ideal senior community. Everyone has access to the beautiful Crystal Conservatories heated pool for recreation and aquatic exercise classes. Residents can also stay active in the fitness center, which is filled with easy-to-use exercise equipment. Meal plans make dining easy! 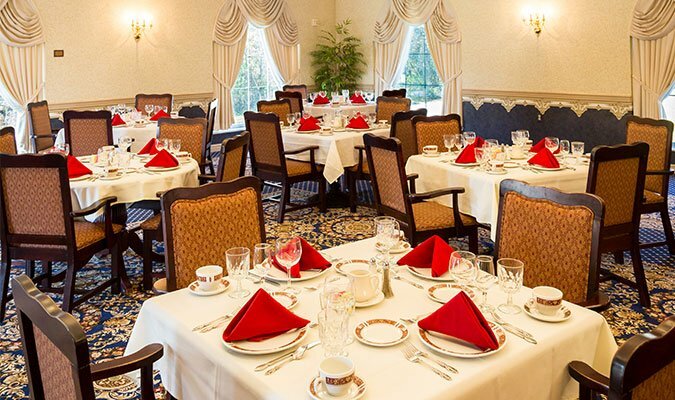 There are multiple dining options to choose from, including a café for breakfast and lunch, a pub with happy hour every day, fine dining in our elegant restaurants, or casual suppers in our dining rooms. Our chefs are trained at top culinary institutes and specialize in preparing delicious, healthy cuisine with a wide variety of menu options and daily specials. Many other retirement communities charge hefty entrance fees and have a one-size-fits-all approach to retirement living, but because there is no large entrance fee for St. Barnabas Communities, you keep control of the assets you’ve spent a lifetime accumulating. 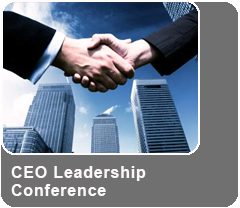 Monthly fees are well within the marketplace norms. St. Barnabas was founded by Episcopalians and is proud of its Christian heritage. We put our trust in the gospel and welcome all faiths to into our hearts and homes. Whether it’s a sparkling chandelier or a perfectly manicured lawn, attention to detail and quality are evident throughout St. Barnabas Communities. 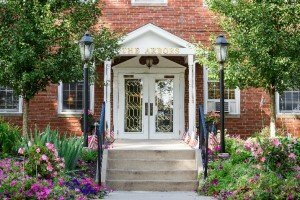 Explore all of the senior living options offered by St. Barnabas Communities and discover what would work best with your retirement lifestyle. 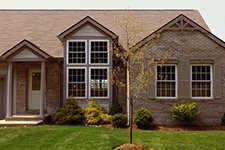 Enjoy the benefits of a home without the stress of maintaining one! Designed for younger retirees, this is a growing community of one-story carriage homes offering spacious living areas, distinctive architectural detail, ample storage, garages and a variety of floor plans. 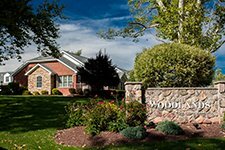 Western Pennsylvania’s premier retirement community! Within three interconnecting buildings are 252 luxury apartments – residents can choose between one, two, and three bedroom floor plans. They also have access to an indoor mall featuring a library, pub, bank, hair salon, and more! Part of The Woodlands at St. Barnabas, this development currently has more than three dozen homes featuring contemporary styling and a variety of floor plans ranging from two bedrooms with one-and-half bathrooms to five bedrooms with five bathrooms. Our award-winning Living Assistance facilities are designed for people who have been living independently, but now need help with daily living. 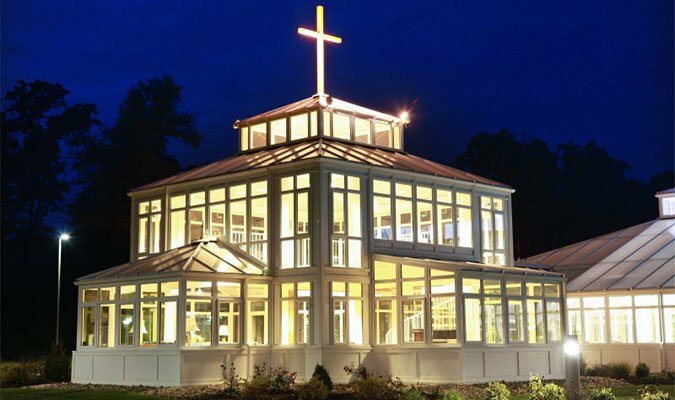 The Arbors at St. Barnabas accommodates both singles and couples at five different locations at our campuses in Gibsonia, Valencia and Beaver. 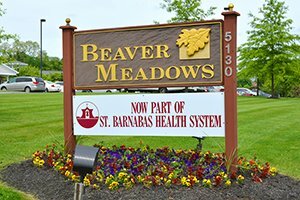 St. Barnabs Beaver Meadows provides a long-term care alternative for seniors in Beaver County who need more assistance than is available in a retirement community, but who do not require the intensive medical and nursing care provided in a nursing facility.